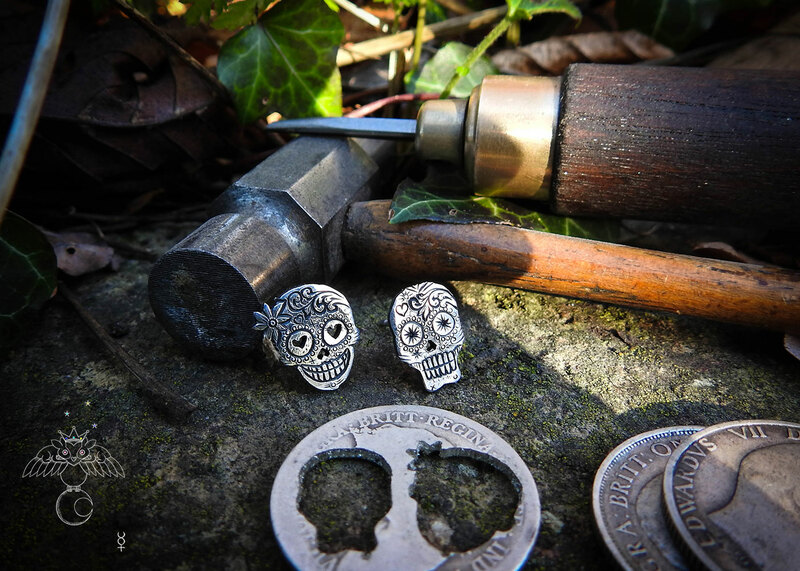 Day of the dead skull earrings – handmade and recycled sterling silver shilling coin. 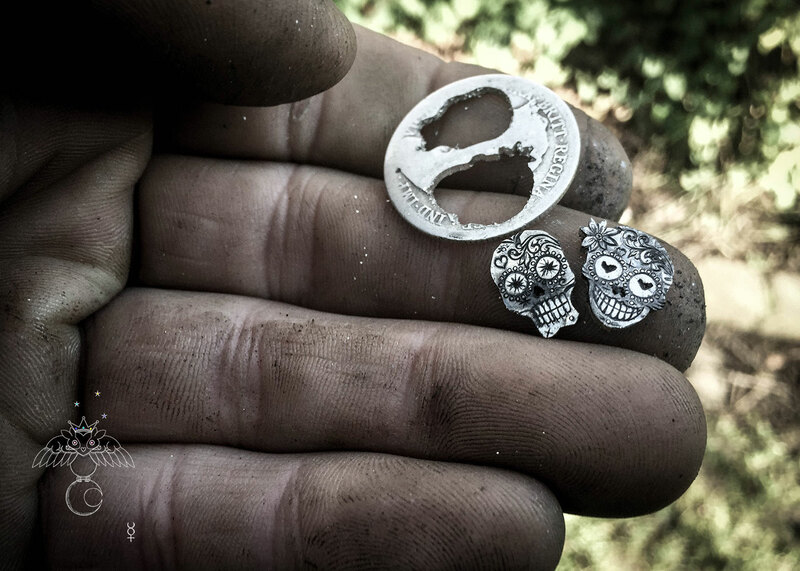 Day of the Dead skull earrings – Día de Muertos earrings are ancient Aztec celebration amulets handcrafted from old silver coins, 100% original and recycled. 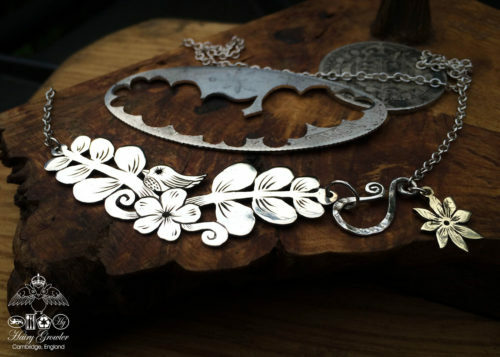 The earrings are individually hand cut and carved using traditional hand tools and age old techniques worthy of such ceremony. 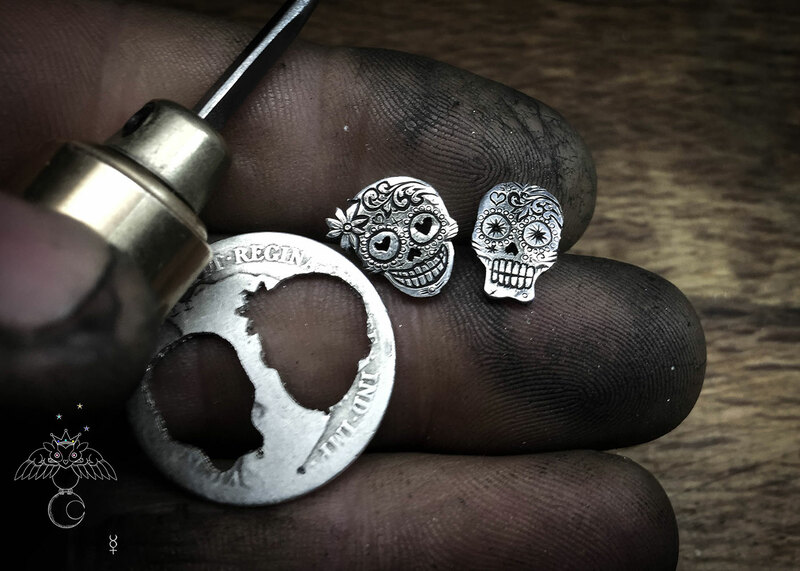 The Day of the Dead earrings, like the festival are depicted as joyous rather than mournful figures and perfectly reflect the idea of being together forever. 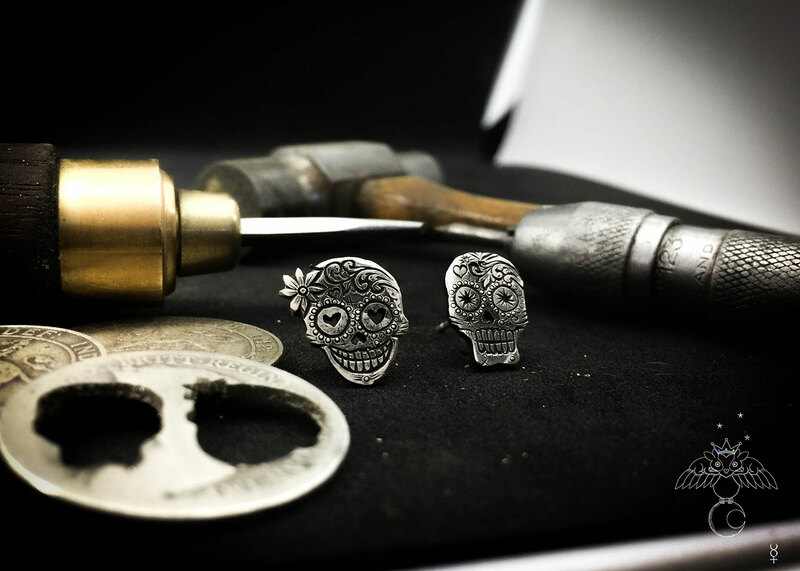 These day of the dead earrings are super difficult to cut and engrave and the space is small at only 12 mm diameter working area. 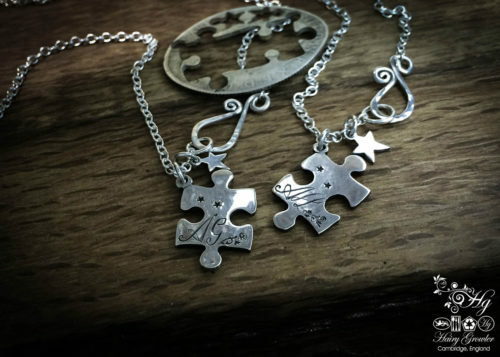 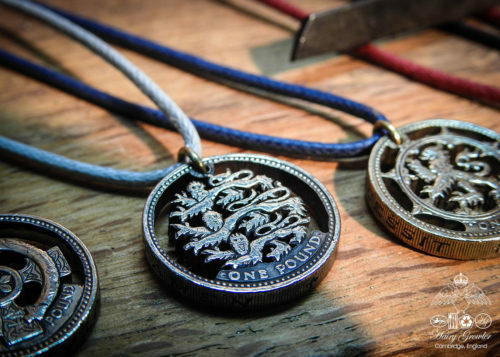 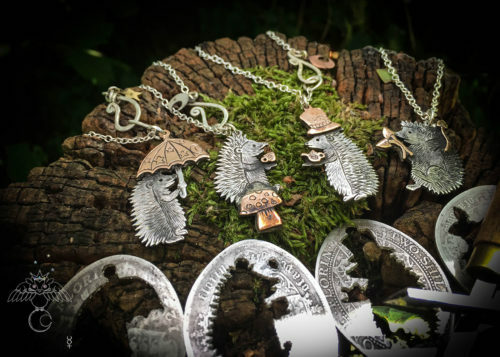 The special earings are handmade from a Victorian shilling silver coin.These coins are unwanted by coin collectors due to wear marks from being used to buy and sell over one hundred years ago. 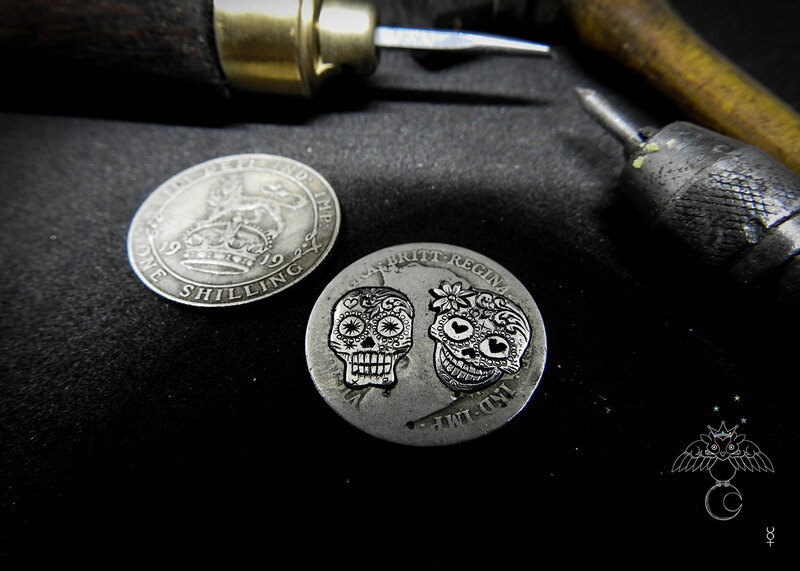 The pair of Calaca’s have been individually hand cut, carved and engraved from the silver shilling with a traditional jewellers hand tools. 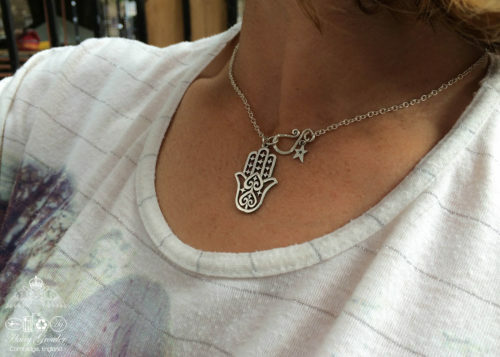 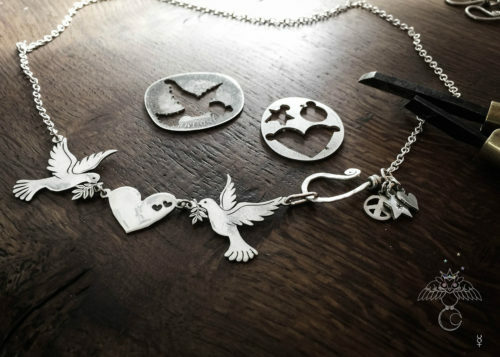 Each pair is completely unique, contemporary, ethical and beautiful. 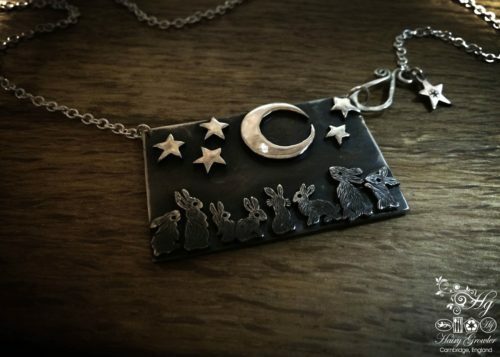 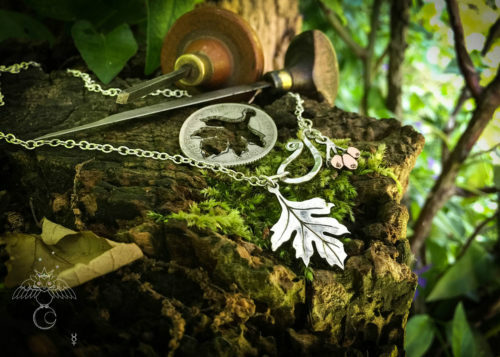 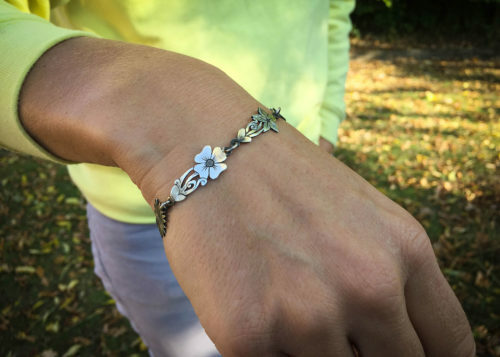 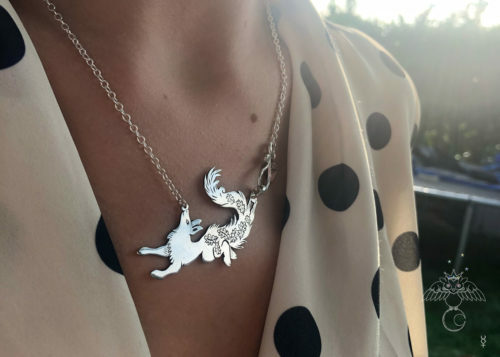 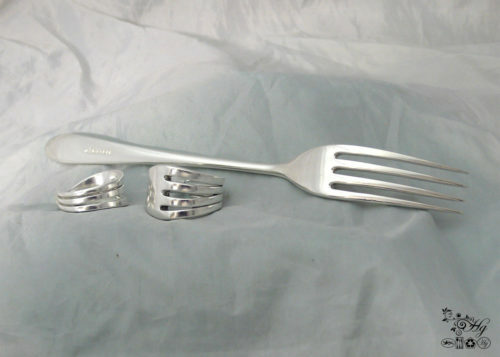 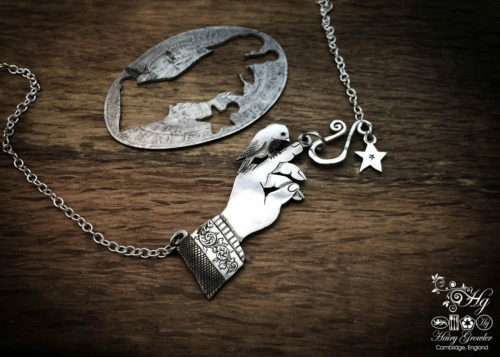 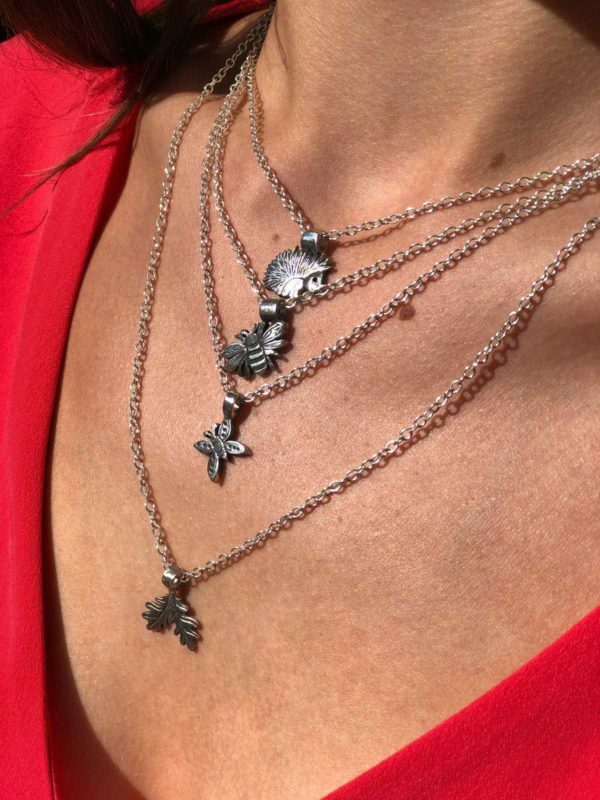 They are presented complete with a sterling silver ‘off-cut’ which beautifully demonstrate the origins of the skulls and connect them to their interesting, recycled material history.